The Flatiron building smiles on the park. 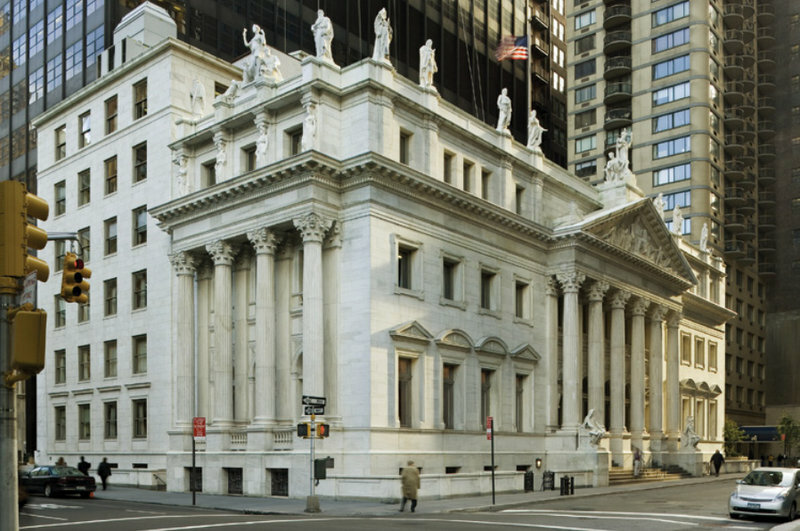 The old headquarters for MetLife is across the park and so is the astounding beaux arts - Appellate Division Courthouse of New York State built in 1896. So much to draw. It’s filled with people, trees, fountains and the mysterious black squirrels of NYC. Your sketch event is curated and hosted by Elaine and Ben Langer. Noon: We’ll have lunch in the park. There are many vendors in the area including a Shake Shack right in the park. Bring your own or purchase nearby. Afternoon: 1 PM Continue sketching. Show and Tell: 3:00 PM. Meet near the entrance to share our artwork and tell a few stories. Maybe even talk about art supplies. NOTES: Bring a stool if you have one - it gives you more viewing opportunities. Gantry Plaza State Park is a riverside oasis along the East River near Long Island City, Queens. The entire length of the twelve acre park has spectacular, unobstructed views of the Manhattan skyline, including the United Nations and the Empire State Building. 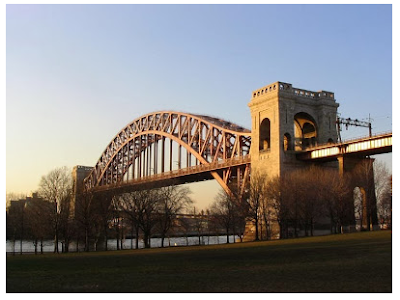 The southern part of the Park showcases the name-sake of the site, four restored gantries originally built in 1925 and used to load and unload river freight onto Long Island RR cars for transport inland. 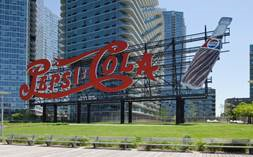 The northern section of the Park was the site of a Pepsi-Cola bottling plant, and the iconic cursive, red neon on metal Pepsi-Cola sign remains today, having been designated a NYC landmark in 2016. With the skyline as a backdrop, and the gantries, the sign, and the beautifully manicured park grounds as a set, this is a stage any artist will enjoy sketching. 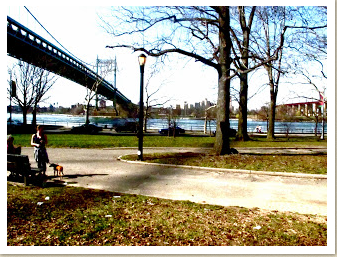 In the morning we will sketch in the southern part of the Park, two sets of gantries and the skyline of Manhattan. 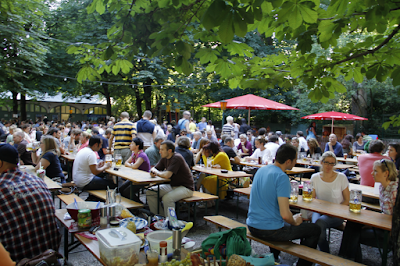 We will eat lunch in a grove of trees with plenty of shade near the southern-most pair of gantries. 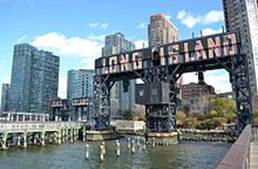 In the afternoon we will head north to the Pepsi-Cola sign, construction barges on the river and views of the Ed Koch Queensborough Bridge. 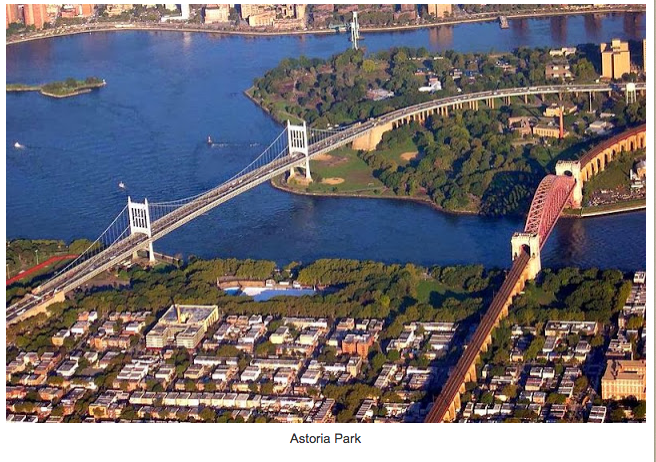 From Grand Central Terminal, take the 7 Train and get off at Vernon Boulevard - Jackson Avenue, the first stop in Queens. Exit the station at the back of the train, emerging at 50th Avenue and Vernon Blvd. 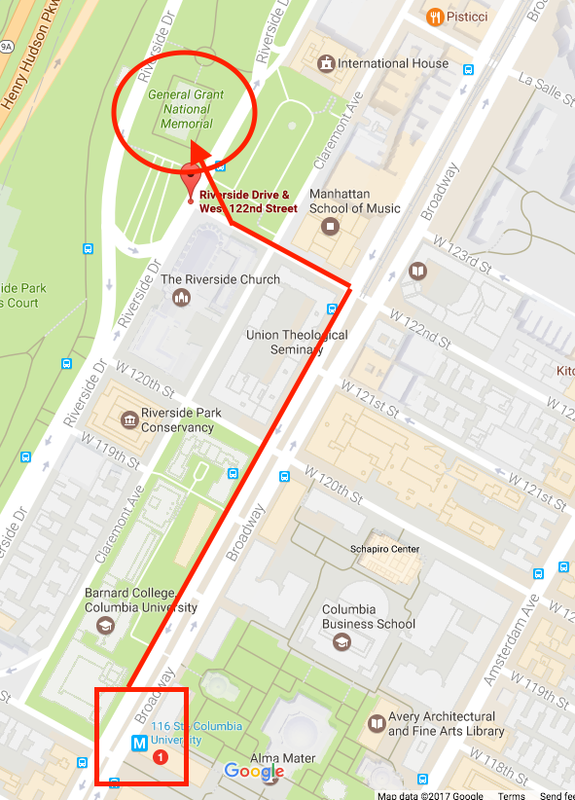 Walk 3 blocks north on Vernon Blvd to 47th Road, turn left and walk 2 blocks west toward the East River. The Park entrance is straight ahead, although partially blocked by construction. Just walk on the sidewalk on the right side of the street, past the Dead End sign, and you will enter the Park. The walk from the 7 train is 10 minutes. As you enter the Park, restrooms are on the left. We will meet at a yellow picnic table on the right, shortly past the playground. Bring a hat, sunblock and lunch, as there aren't many food vendors around the Park. You could pick up a sandwich or salad at the Food Cellar Market on 47th Road, a block from the Park entrance. Also bring a bottle of water. 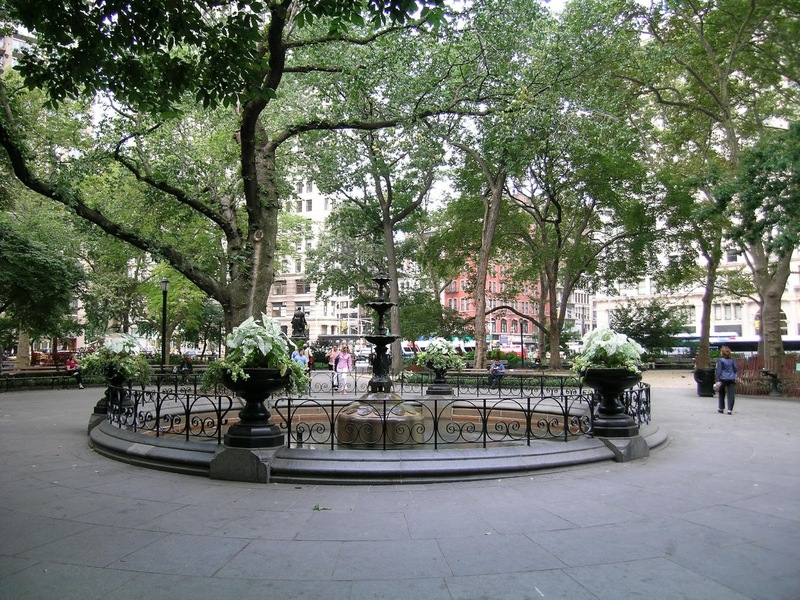 The water fountains in the southern part of the Park are disconnected, although there are several working fountains in the northern section. You may bring a stool if you wish, but there are lots of benches throughout the Park. Forest Hills Gardens is one of America’s oldest planned communities. It is modeled after England’s “garden cities,” originally constructed in 1909 and is based on designs by architect Grosvenor Atterbury and landscape architect Frederick Law Olmsted, Jr. - son of the "Central Park" Olmsted. The NY Times described it best: "Just a few blocks off Queens Boulevard lies a time warp -- a perfectly preserved garden suburb from a time when women wore bustles. With its medieval English-style, red-tiled roofs, turrets, dormers and Tudor half-timbering, Forest Hills Gardens is virtually unchanged since 1909...."
In the morning we will sketch around Station Square, its clock tower and two underpasses that lead to the residential areas. In the afternoon, we will take a short walk to Circle Park to view an array of trees, flowers, and residences built in various medieval styles. TRANSPORTATION: E, F, M, or R trains to Forest Hills 71 Avenue (71 Avenue is aka Continental Avenue). The Long Island RR has a stop at Forest Hills, too. Driving is not recommended since parking is restricted to residents with permits. Coming from Manhattan, exit near front of train and take stairway that says 71 Avenue, South Side of Queens Blvd. On the street, walking away from Queens Blvd., go 2 blocks, going under the Long Island R.R. to Station Square. 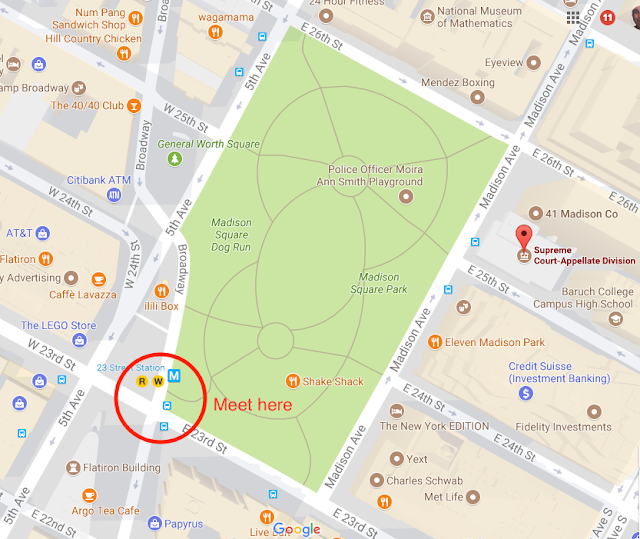 We will meet near the LIRR underpass at the entrance to Station Square. Bring a hat, sunblock, a stool if you have one, and lunch, although you can also easily buy lunch on 71 Avenue, on nearby Austin Street, or in Station Square. A peaceful location on Riverside Drive is the final resting place for Ulysses S. Grant our 18th President and the Union's most famous Civil War general. He died in 1885, twenty years after the war ended. Next to Lincoln, Grant was probably the Union’s most celebrated hero. At the time of his death the impact of that horrible war was still fresh in people’s living memory. The day after he died the mayor of NYC sent a telegram to his widow, Julia Dent Grant suggesting that New York City should be the general’s final resting place. Grant’s only request before dying was that he be layed to rest by his wife. The are both entombed there. Completed in 1897, the location of the National Memorial was remote and far from the bustling city. Visiting amounted to a day in the country. Old photographs reveal a riverside location devoid of trees and the beautiful park that now graces the Hudson shore of NYC. 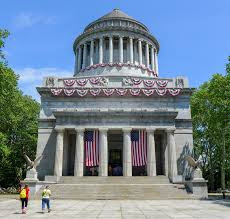 I believe that the definitive artwork depicting Grant’s Tomb has not been created yet. Lunch: Noon - 1 PM - Bring your own and dine al fresco in the park, or purchase food to take out at Broadway Au Lait, 3070 Broadway at 122 St. There are other choices in the area. Show and Tell: 3 PM - The Craftsman, 3155 Broadway, (212) 933-0602. We will share drawings, good stories and a snack or refreshments if you're so inclined. Note: Bring a stool if you have one - it gives you more options. in one of the city's largest cemeteries. 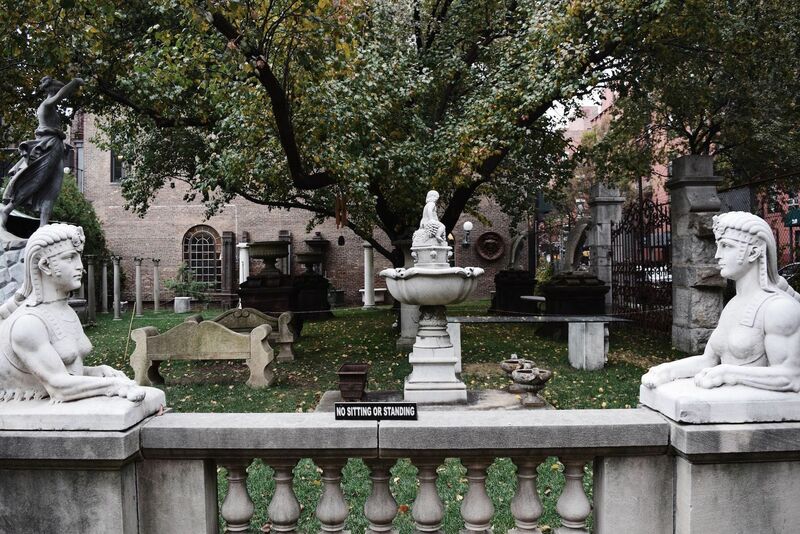 View the graves of some of the musical greats like Lionel Hampton, Duke Ellington, Miles Davis, W.C. 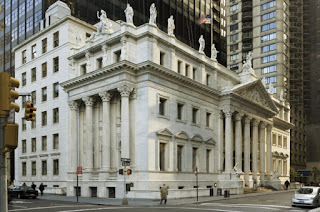 Handy, Max Roach, George M. Cohan and Irving Berlin; or historically significant figures of politics and business like Mayor Fiorello LaGuardia, Isidor Straus, Joseph Pulitzer, Jay Gould, Robert Moses, Elizabeth Cady Staton, and F.W. Woolworth. 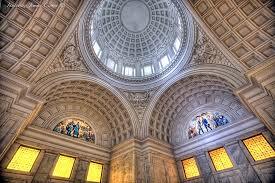 The mausoleums are elaborate and the landscapes are sweeping. TRANSPORTATION: Take the 4 Train north to the last stop at Woodlawn. Exit the station and walk about one-half block north to the Jerome Avenue entrance to the cemetery. We will meet at some benches across from the Conservatory Office building, a short walk from the entrance. Be sure to ask for a map at the entrance, and bring a hat, a stool if you have one, sunblock, and lunch. We will eat at picnic tables behind the Conservatory Office building. Please RSVP to Alan Wernicke at alanwernicke@yahoo.com. If coming late or you cannot find us, text Alan at 917-685-5748. 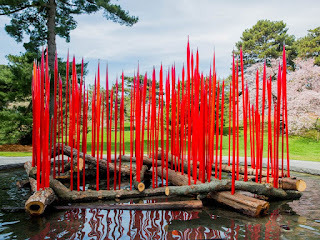 It will be an amazing day of sketching at the New York Botanic Gardens in the Bronx. Many talented well known sketchers will there conducting demonstrations including New York City Urban Sketchers Ellisa Gore, Jason Das and Brad Marshall. 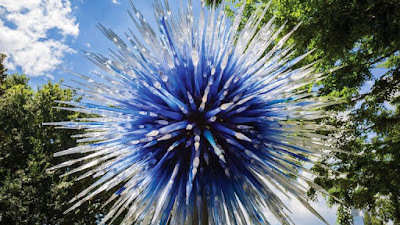 Other featured artists who will be painting at the gardens include Marc Taro Holmes, Shari Blaukopf, Veronica Lawler, plus James & Jeanette Gurney. I’m going to be running a Plein-Air Drop-In program on the Conservatory Lawn starting at 11 AM. Meet me there. The Drop-In program is intended for get non urban sketchers involved sketching. Art supplies and stools will be lent to participants. You're welcome to join in or use this as a base camp to explore the gardens. Artists from UrbanGlass—a contemporary glass center in Brooklyn—demonstrate the fascinating art of melting and manipulating hot glass using a torch and flame. Take the B, D, or 4 train to Bedford Park Blvd. Station. From the station exit: Take the Bx26 bus east to the Garden’s Mosholu Gate entrance. OR walk eight blocks down the hill on Bedford Park Blvd (approximately 20 minutes). Turn left onto Southern Blvd. 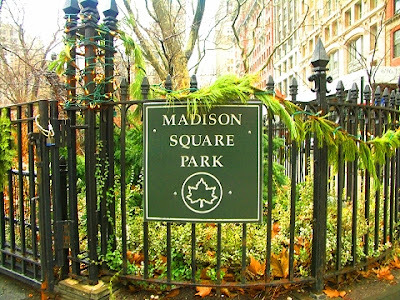 and walk one block to Mosholu Gate entrance. Take the 2 train to Allerton Ave. station. From the station exit: Walk three blocks west on Allerton Ave. Turn left on Bronx Park East and walk two blocks to Waring Ave. At the park entrance, walk up the small hill leading directly to the Garden’s East Gate. Just 20 minutes from Grand Central Terminal in Manhattan! Take the Metro-North Harlem local line to Botanical Garden Station. Cross Southern Boulevard to the Garden’s Mosholu Gate entrance. - Definitely bring stool if you have one. It gives you so many options. - Because of the unusual events happening this Sunday at the Botanic Gardens we will not be having our usual Show and Tell at the end of the day. 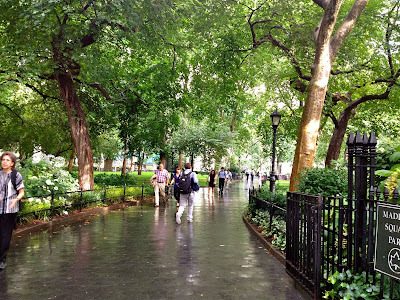 Due to the forecast the Weekday Urban Sketchers meeting in the Elizabeth Street Garden is postponed to Thursday. Hi, everyone! You may be aware that I've been put in charge of our social media, at least where Instagram and Twitter are concerned. 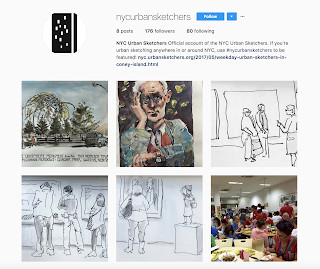 If you want to follow, on Instagram we're @nycurbansketchers and on Twitter we're @nycusk (a pesky character limit kept us from being @nycurbansketchers on both!). I'll be starting to really use them this week. I definitely recommend instagram for anyone not on it yet, it's a great way to have easy access to the artwork of people all across the world. If anyone has any questions about social media please don't hesitate to ask! You can reach me at nycurbansketchers@gmail.com. Also feel free to contact me there if you have any events or exhibits I should post about! *For anyone new to twitter and instagram, anything with a "#" preceding it is a hashtag. 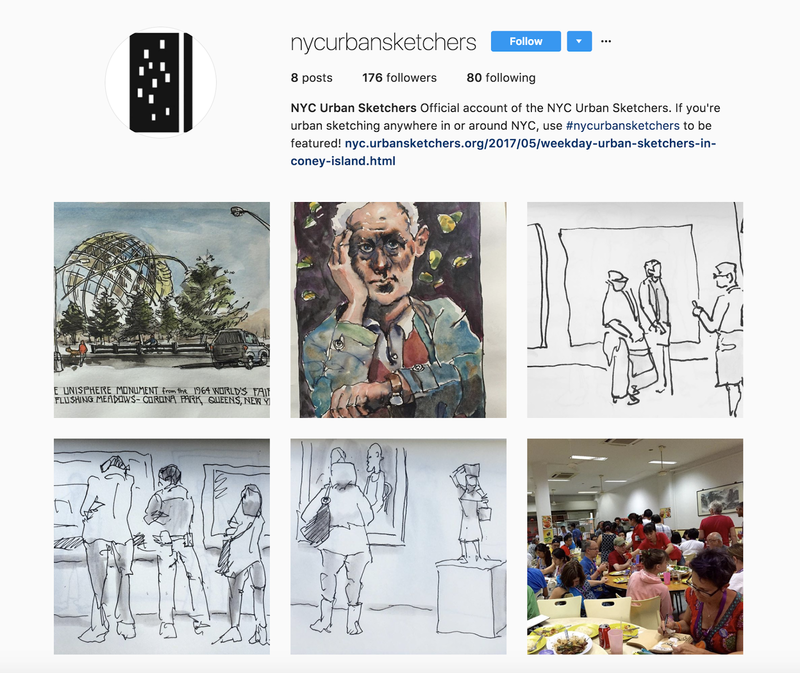 So you can search for "#nycurbansketchers" to find other New York urban sketchers and their work. You can also search for anything else you're interested in seeing; #urbansketchers is really popular, and I also like checking out #watercolors and #archisketcher. It's a really easy way to find new artists to follow! Come spend some time in this unique corner of NYC. Beneath the trees and bushes are hundreds of architectural pieces gleaned from the demolished buildings that were once part of the city. 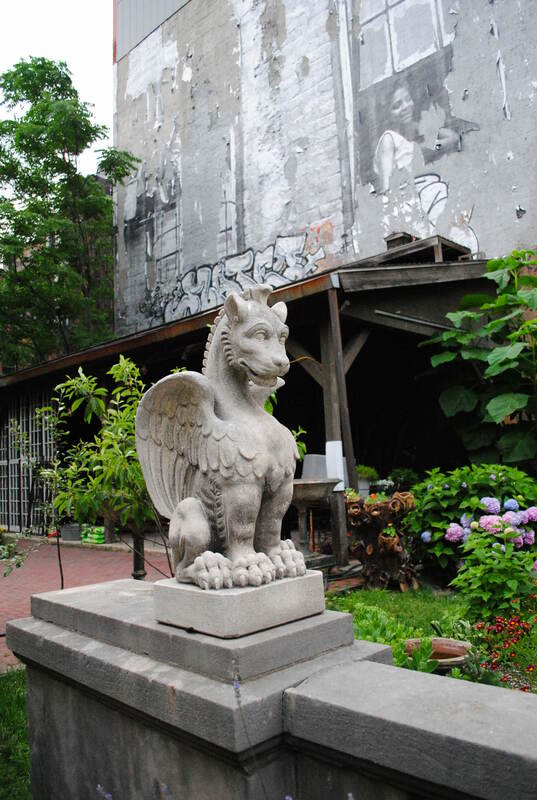 Statues, balustrades, cornices, birdbaths, benches and gargoyles adorn the 20K SF of the not-so-hidden gem in Little Italy. Following lunch we will go to St. Patrick's Old Cathedral located 1/2 a block away. 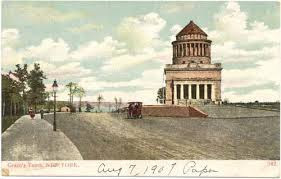 This was the first RC church but in NYC and houses a catacomb and graveyard. 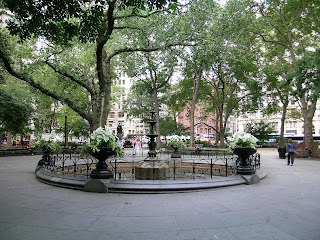 LOCATION: Elizabeth St Garden: Elizabeth Street between Prince and Spring Streets.